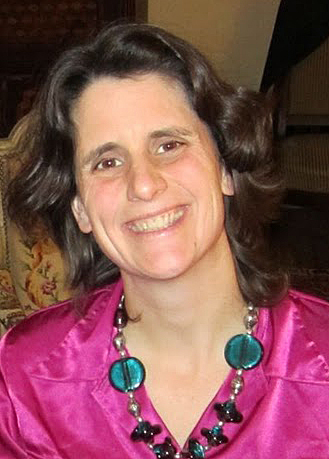 Cecile Fabre is Senior Research Fellow at All Souls’ College, Oxford. She obtained her BA in History from La Sorbonne, before moving to Britain where she obtained a MA in Political Philosophy from the University of York and a D.Phil. in Politics from the University of Oxford. Prior to taking up her current position, she taught at the LSE, the University of Edinburgh, and Lincoln College, Oxford. She has written on welfare rights, democracy, the rights we have over our own body and, in the last few years, on the ethics of war. She is currently finishing a monograph on the ethics of peace after war. Anger, hatred and bitterness are some of the biggest obstacles to reconciling communities torn apart by war or mass atrocities. Having chaired the South African TRC after decades of indefatigable fight against the Apartheid, Archbishop Desmond Tutu famously wrote that there is ‘no future without forgiveness’. I respectfully disagree. In vicarious forgiveness, the forgiver forgives a wrongdoer for acts which the latter committed against others, with no stipulation that those victims have, either explicitly or tacitly, authorised the forgiver so to act. Did Wiesenthal have the standing vicariously to forgive the SS? Whilst he had the standing to forgive the SS for the fact that, had he (Wiesenthal) been present on that day and in that place, he would have been killed alongside the others, he lacked the standing to forgive the SS on behalf of the latter’s primary and secondary victims. To claim otherwise is to deny respectful treatment to those who were themselves wronged. For who are we to forgive (e.g.) genocidaires, serial rapists, willful and lethal aggressors on behalf of their victims, and particularly when those victims themselves appropriately refuse to forgive them? By implication, there can be no official granting of forgiveness by, e.g. political actors, on behalf of the victims of war: the then-President of the World Jewish Congress had no greater standing than Wiesenthal to forgive the SS. In so far as political forgiveness inevitably involves some degree of vicarious forgiveness, and in so far as vicarious forgiveness is impossible, political forgiveness cannot be instrumental to reconciliation. Yet, reconciliation there must be – and so we must look elsewhere for its moral-psychological basis. It seems to me that the refusal to reconcile or to see oneself as partners in relationship stems from the fact that wrongdoings of that magnitude destroy trust between victims and perpetrators when there was trust to begin with (which there might not have been), or render the building of trust de novo extremely unlikely. And yet, trust is precisely what is needed above all. To trust someone to do x is to have the expectation that when doing x, she will be motivated to do so out of respect and concern for us. Trust differs from reliance, for in reliance, it matters not what my reasons are for thinking that she will do x: for example, it might be that doing x is in her interest, and I believe that she will act on the basis of her interest, so I rely on the fact that she will do x.
Reconciliation requires trust: reliance is not enough, for to conceive of my enemy as a partner in peace, I need to know that he genuinely sees me as such a partner as well. In the aftermath of mass violence, it requires, for example, that victims trust that state officials will treat them with concern and respect out of recognition of and commitment to the fact both that they are worthy of such treatment and that they rely on such treatment; it also requires of them that they trust their neighbours, who were complicitous in mass atrocities, not to attack them at the first sign of discord; it requires of erstwhile enemy leaders that they trust each other not to violate the terms of the peace agreement at the first opportunity; and so on. What does it take, then, to (re)build trust after conflict? War violence consists in a denial of fundamental equality. For trust to exist, victims must be given evidence that perpetrators do now see them in that way; this in turn requires that perpetrators be able so to see their victims. When they have all been locked in cycles of mutual attritional violence, it requires that victims not just see themselves as victims but as worthy of equal respect and that perpetrators be able to trust victims not to attack them in revenge. Finally, for trust to emerge, particularly in the aftermath of mass atrocities, which dehumanise both perpetrators and victims, all must learn to recognise their shared humanity. They cannot do that, it seems to me, unless they have it in themselves to be minimally empathetic towards one another. Empathy is one of the new(ish) buzzwords of moral psychology, though analyses of it as a moral sentiment can be traced back to David Hume and Adam Smith, even if they both tended to use the word ‘sympathy’ instead. The empathetic person is someone who on the one hand imagines what it is like for the other person and on the other hand imagines what it would be like for him were he in the other person’s shoes. Empathy is an imaginative process which is both self- and other- focused – in Darwall’s vocabulary, which takes both the first-person and the second-person’s standpoint. Having imaginatively taken both standpoints, the empathetic person is furnished with reasons to do something for the other person. Importantly, being empathetic towards some agent X and taking on X’s standpoint is not tantamount to having the desire to help X, to the point that one wants for X what X wants for himself. It is possible to empathise with a war criminal in the sense that it is possible to see that, had we ourselves been presented with the very same set of options, we might have acted in the same way, and would have felt the same mixture of terror at what would have befallen us and anguish for what we were about to do (first-person). It is also possible to empathise with him in the sense that we can imagine what it was like for him (second-person perspective.) Crucially, it is possible to think and feel all of that, without prescinding from the judgment that he ought to have been punished – as we ourselves ought to have been punished under the same circumstances. At this juncture, some readers might worry that with grievous wrongdoings one simply cannot imagine what it was like. However, even if, with the best will in the world, one simply cannot imagine doing what they did, it might not be impossible to put oneself in the shoes of genuinely repentant wrongdoers of that kind. For if a repentant wrongdoer is someone who is as repulsed by what he actually did as we ourselves are repulsed by it to the point of not being able to imagine doing it, it does not strain the bounds of imagination beyond breaking point to begin to imagine what it must be like to live with oneself while having committed those crimes. In the sheer gut-like reaction (‘I could not do it, it would be totally against all I believe and all I can psychologically contemplate doing’ to the commission of the deed’), lies a sense of the disintegration of the moral self and its attendant suffering which characterise the repentant serious wrongdoers. Moreover, there is a weaker, less affectively demanding view of empathy which allays the concern raised above. On that more modest account, minimal empathy is the ability to begin to imagine and feel, as distinct from imagining and feeling tout court, what it may have been like from the other person’s point of view at the time of the commission of the crimes, or what it is like now to be a remorseful perpetrator. Those imaginings and feelings in turn may give facilitate the emergence of trust. A victim can be empathetic in that sense without erasing the fact that she was not, as a matter of fact, in the perpetrator’s shoes. Further, she is more likely to be empathetic in that sense if the perpetrator himself is able and willing to be empathetic to her plight. Empathy is likely to be effective for political reconciliation only if it is reciprocal and if its reciprocal character does not occlude the asymmetry between victims and perpetrators. Finally, one can expect of a victim who was herself, at one point, a perpetrator, to be empathetic to other perpetrators – precisely because she herself knows, and does not simply imagine and feel, what it was like. The point is particularly important in the context of post-war political reconciliation since atrocities are likely to have been committed and suffered by agents on both sides of the conflict, and quite often by the very same agents at various times. So construed, empathy might help victims find their own humanity in perpetrators, and perpetrators (re) discover their own humanity in their victims. The hope is that they reconcile themselves to the fact that they cannot but cooperate with perpetrators towards the establishment of a durable peace, and, further, build trust in perpetrators to work towards such a peace. Trust and empathy, rather than forgiveness, pave the way for the future. D. Tutu, No Future Without Forgiveness (London: Rider Books, 1999). S. Wiesenthal, The Sunflower (London: W. H. Allen, 1970). S. Darwall, The Second Person Standpoint (Cambridge, Mass. : Harvard University Press: 2006). « Gender and Creative Agenda-Setting Philosophy: What is the Way Forward?